Why Play at Unibet Casino? Unibet Casino offers you a no download casino with over 300 slots from a whole host of reputable software providers including Net Entertainment, NextGen Gaming, Microgaming, WMS Gaming and many others. 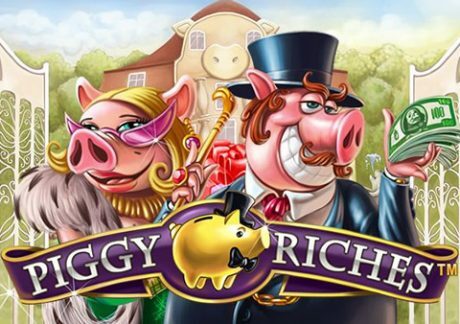 Fully UK licensed, they offer new customers 10 no deposit free spins, a 200% first deposit bonus up to £200 and up to 190 more free spins. On top of this, they have a wide range of deposit/withdrawing options with very fast cashout times (including weekends and with no fees). In terms of customer support, Unibet offers their players a service 24 hours a day, 7 days a week, 365 days a year. They have a dedicated email support address for UK players and also offer a UK telephone number and live chat. I tried all methods with live chat being the quickest (and most convenient). I asked them all kinds of questions relating to depositing/withdrawing and about the welcome bonus. I received adequate responses with links to various pages within their Help Centre. Also, waiting times via Live Chat were short as I waited under a couple of minutes on the 4 occasions I contacted them. Email support was not bad with responses within a couple of hours. As mention, check out their Help Centre which has lots of information. Unibet Casino offers you a wide range of popular banking methods – you can deposit and withdraw using e-wallet solutions like NETeller and Skrill (MoneyBookers). You can also use prepaid cards like Paysafecard and Ukash. However, you can use a debit or credit card (the most popular way of transferring funds in and out of an online casino). However, when it comes to withdrawing your winnings, debit or credit cards will take longer to reach your account. This is because banks take about 3 working days in general to process these transactions. Saying that, Unibet processes cashouts within 12 to 24 hours across the board. If you want your winnings in your account as soon as possible, NETeller or Skrill are your best bet. We’ve withdrawn a few times at Unibet and the KYC (Know Your Customer) process was smooth (you need to provide identification documents the first time you withdraw – this is standard practice and a legal requirement). Unibet imposed no fees for withdrawing which is good but don’t process cashouts on weekends (that’s the only negative aspect I found to be honest). Unibet Casino offers you a no download platform with popular casino games like blackjack, video poker and roulette. Where they exceed is via their slots offering as there are more than 300 on offer. Unibet used to offer a Casino Red and Casino Black product with NetEnt slots being in Casino Red and all others in Casino Black – they changed this in February 2014 put all slots together in 1 convenient place. If you like Net Entertainment slots, you will find a full suite of NetEnt slots such as Gonzo’s Quest, Piggy Riches and Scarface. However, I recommend you look at Mega Fortune – this progressive jackpot game paid out the world’s largest online jackpot at 17.8 million. This was in January 2013. 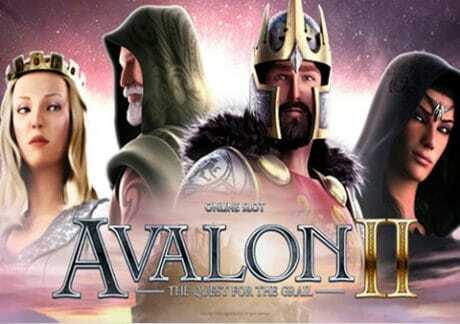 When it comes to Microgaming, you have the amazing Avalon II with 10 bonus features available and the ever-impressive Immortal Romance amongst many others. As for IGT, they don’t have a full selection but have all the most popular games like Cleopatra and Da Vinci Diamonds. Other slots of note are Play ‘N Go’s Riches of Ra, Barcrest’s Rainbow Riches and Blueprint Gaming’s Zuma (all very popular amongst UK players. The main reason why we’ve added Unibet is due to their WMS Gaming slots offering – if you go to ‘All Games’, ‘Slots’ and then ‘Vegas Slots’ you will find all their WMS slots in 1 place. 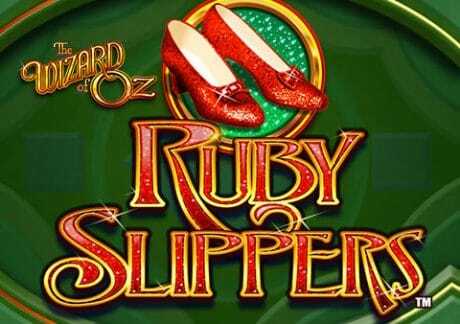 You have the legendary Zeus, bonus rich Wizard of Oz Ruby Slippers and high variance Black Knight II. They add WMS slots first which is great and even have WMS mobile slots (not many do). Unibet Casino offers all new UK customers 10 no deposit free spins on a choice of 5 NetEnt video slots. Then there’s a superb 200% match bonus up to £200. You can deposit as little as £10 or as much as £100 to receive a 200% match. If you deposited 1050 for example, Unibet Casino would give you £200 giving you £300 in total to play with. When it comes to withdrawing the bonus, you need to complete the 35 times bonus wagering requirements. If you were to deposit £100 and get £200 free, that would equal £300. You would need to wager the £200 bonus 35 times in order to withdraw the bonus amount. Other games like roulette and blackjack have extra wagering requirements but slots contribute 100% (basically, stick to video slots!). Furthermore, you will get up to 190 additional free spins after your first deposit – you will get 40 free spins for a £10 or more deposit, 90 free spins for a deposit of £50 or more or 140 free spins for a deposit of £75 or more. If you deposit £100 on more, you will get the full 190 free spins on offer. All free spins are to be used on Jack and the Beanstalk, Twin Spin, Gonzo’s Quest, Mega Fortune Dreams or Motörhead. Unibet Casino also offers their customers regular bonuses and promotions. 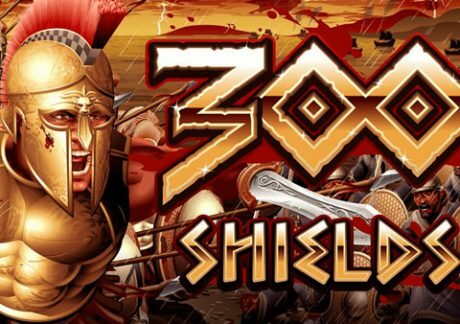 For example, when a new slot game is launched, they offer a Free Spins Bonus – a certain number of free spins will be available on the selected video slot to use in a limited time period. Keep an eye on your email inbox to take advantage of these promotions. However, check our News section for details of new slot releases and promotions. 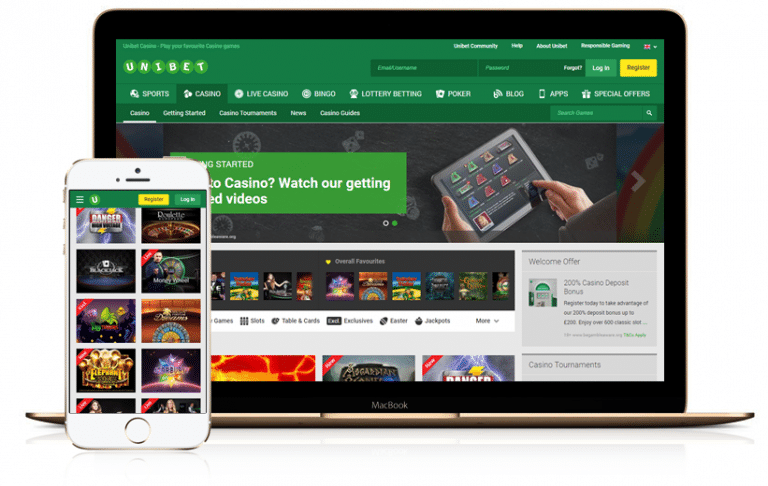 Lastly, Unibet’s sister casino, Maria Casino, offers the same product but more frequent promotions – they will also be covered in the News section.